TORONTO, ON – The recent opening of Mill Street Airport Pub in Terminal 1 of Toronto Pearson International Airport brought a welcome bit of craft beer to the busy travel hub, and now it appears that an even better selection is coming soon. 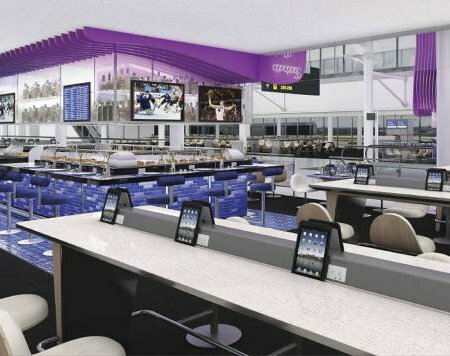 As reported by Chris Nuttall-Smith in today’s Globe & Mail, Pearson is partnering with OTG Management to undertake a huge transformation to its food and beverage offerings, with more than a dozen new restaurants and bars set to open in both Terminals. Overseeing the restaurants will be some of Toronto’s best chefs including Claudio Aprile (Origin, Colborne Lane), Mark McEwan (Bymark, One, North 44), Hemant Bhagwani (Amaya), Rocco Agostino (Pizzeria Libretto, Enoteca Sociale), Devin Connell (Ace Bakery) and Guy Rubino (Rain, Ame). On the beer side, Brock Shepherd – owner of Kensington Brewing Company and craft beer tap-house Burger Bar – will be curating the beer and cocktail lists at Apropos, a pair of bars in Terminal 3. According to the Globe story, the bars will feature around 50 beers, the vast majority being Ontario craft brews. And just in case you’re traveling with someone who prefers wine over beer, master sommelier John Szabo will be compiling the wine list for Apropos as well as Vinifera, a wine and tapas bar with locations in both Terminals. The new restaurants and bars at Pearson will start opening later in 2012, with the roll-out continuing until the summer of 2013.